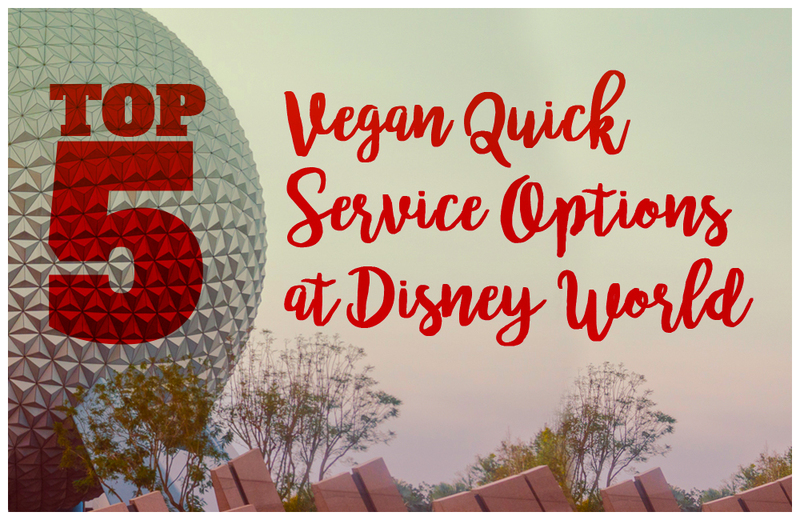 If you are planning a trip to Walt Disney World, check out my top 5 vegan quick service options at Walt Disney World! Walt Disney World has really stepped up their vegan options over the past few years. I love how accommodating Disney World is for anyone with a special diet and allergies. When traveling to Disney World, we typically eat most of our meals at table service restaurants. I do have a few favorite quick service restaurants that I have to go to on every trip. On my last trip, I got two try new vegan quick service options while at the parks! I was so excited to finally try the Grilled Vegetarian Burger at Liberty Inn, which is located at the America Pavilion in Epcot. The vegetarian burger is completely vegan. You can order it right off the menu! Even the brioche bun is vegan. For the burger they use Beyond Meat Beyond Burger, which has been popping up all over Disney World. While I was ordering my meal, the cast member told me that I was just going to love it. He mentioned that people are always surprised that it’s vegan and many people come back again just for this burger! I love hearing the vegan options are gaining popularity at Disney! 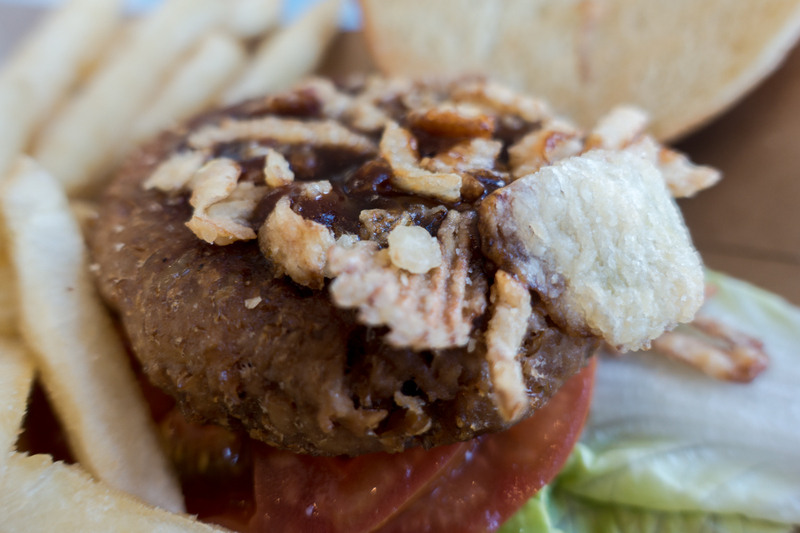 The burger is topped with BBQ sauce, fried onions, lettuce and tomatoes. It comes with fries but they use a shared frier. I actually wanted broccoli instead of french fries, but they accidentally gave me fries alongside the burger. 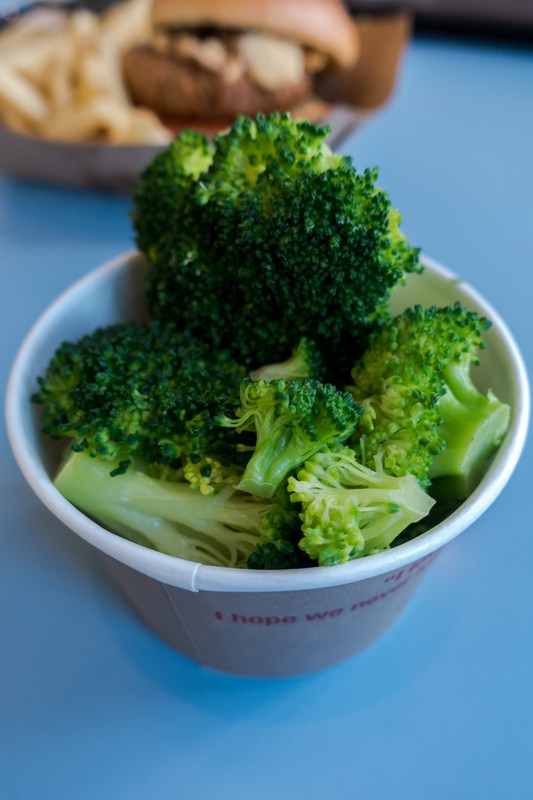 I still got my side of steamed broccoli. Sometimes it is hard to find vegetables at Disney! After seeing the Chili-Spiced Crispy Fried Tofu Bowl all over Instagram, I couldn’t wait to give it at try! 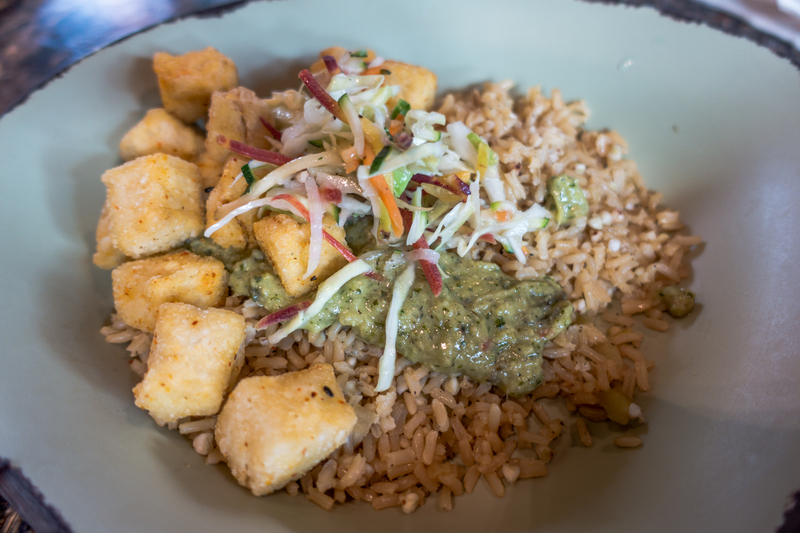 You can find this delicious vegan meal at Satu’li Canteen in Pandora. There are four different bases to use from. I ordered the whole grains with chimichurri sauce. Only the chimichurri sauce is vegan. Just be sure to order it without the boba balls which have yogurt! I loved this meal. It wasn’t too heavy. Full of flavor and felt like a complete meal. Plus, it was only $11.49! If you follow me on Instagram, you probably saw that I had my fair share of vegan donuts from Erin Mckenna’s Bakery at Disney Springs. I might just be little obsessed with their vegan and gluten-free donuts. They are amazing. Even my omnivore parents love the donuts. 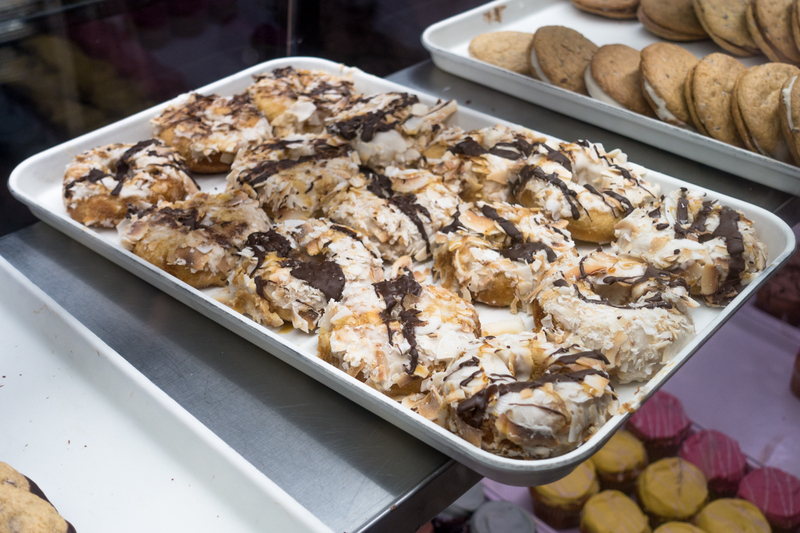 A trip to Disney World isn’t complete without a few donuts from Erin Mckenna’s. 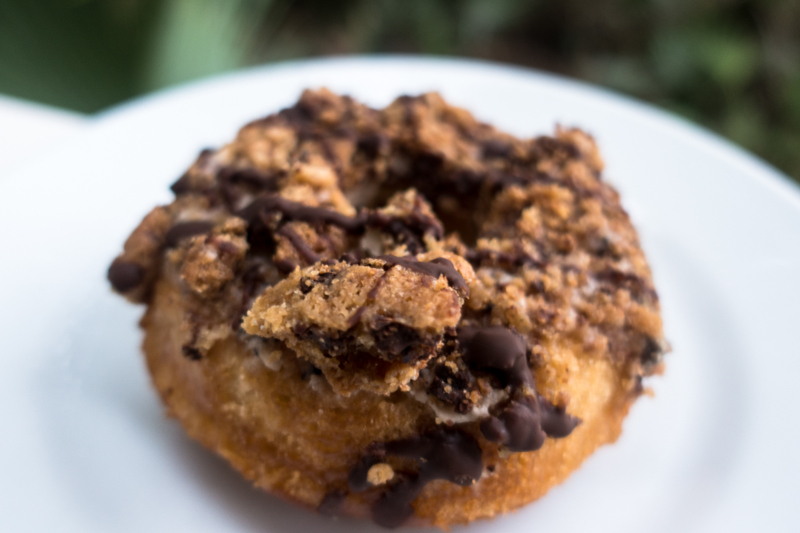 It’s hard to pick a favorite, but the coffee crunch donut is so good! 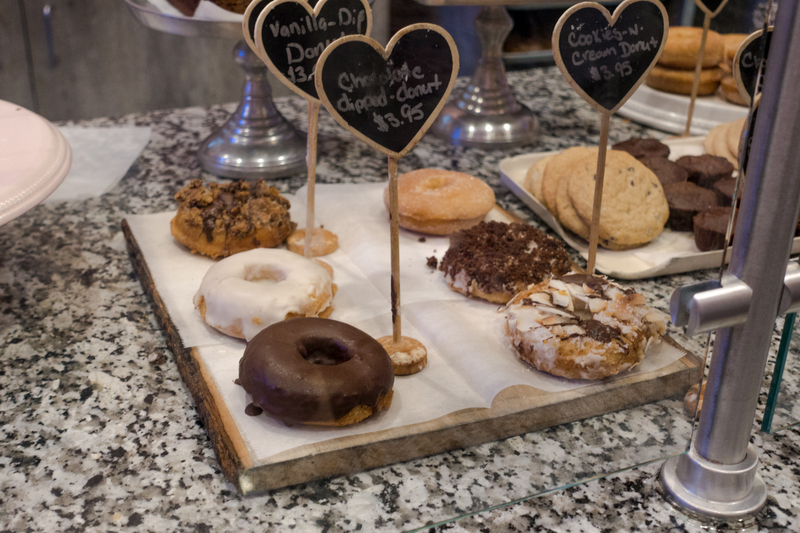 You can find vegan donuts and other vegan bake goods at Erin Mckenna’s Bakery at Disney Springs. 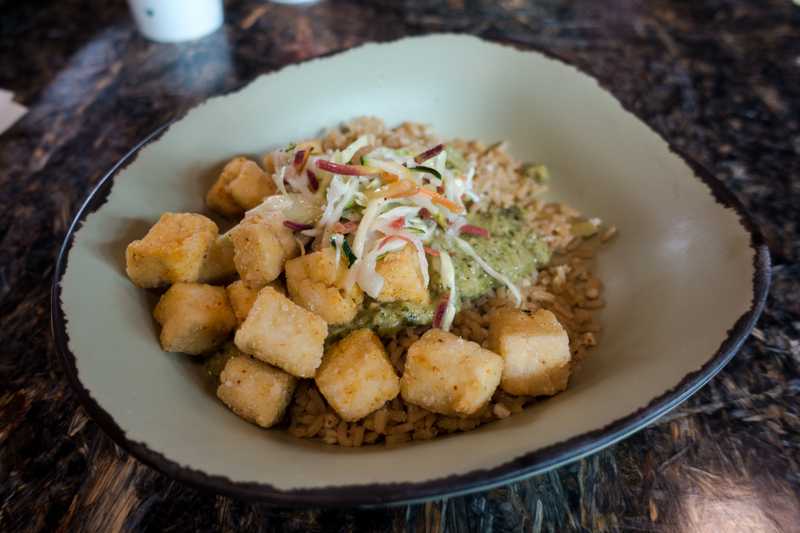 Columbia Harbor House is one of my go-to vegan quick service options at Disney World. 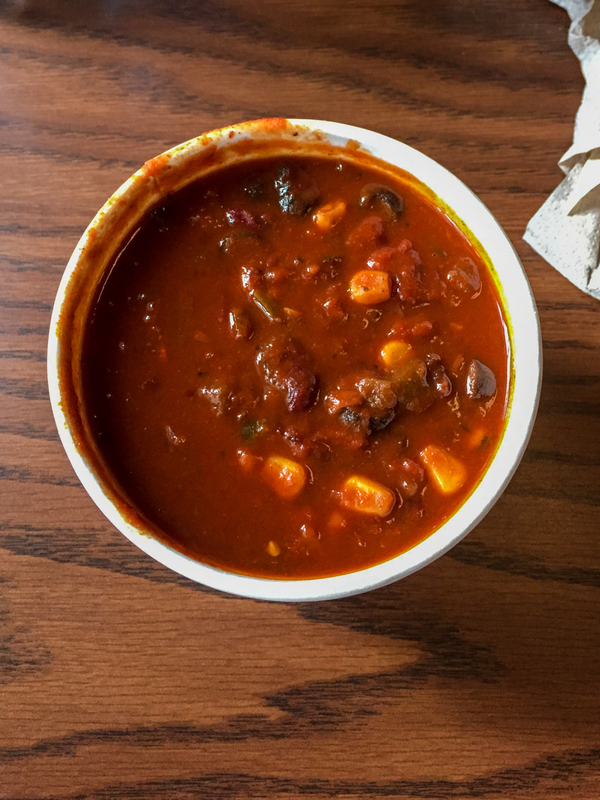 You can find vegetarian chili at Columbia Harbor House located in Magic Kingdom. This chili is a satisfying vegan option at the Magic Kingdom. Perfect if you aren’t looking for a big meal. It’s filling, flavorful, and delicious! Just be sure to order it without the crackers which aren’t vegan. 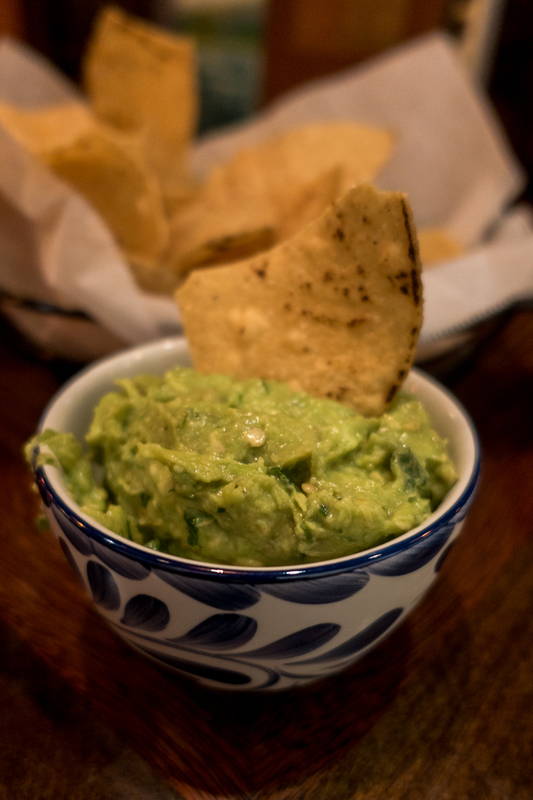 This might not be the most traditional meal, but I love ordering the chips and guacamole at La Cava del Tequila located inside the Mexico Pavilion at Epcot. Their guacamole is delicious! Their margaritas are also the perfect way to cool down on hot Florida day. 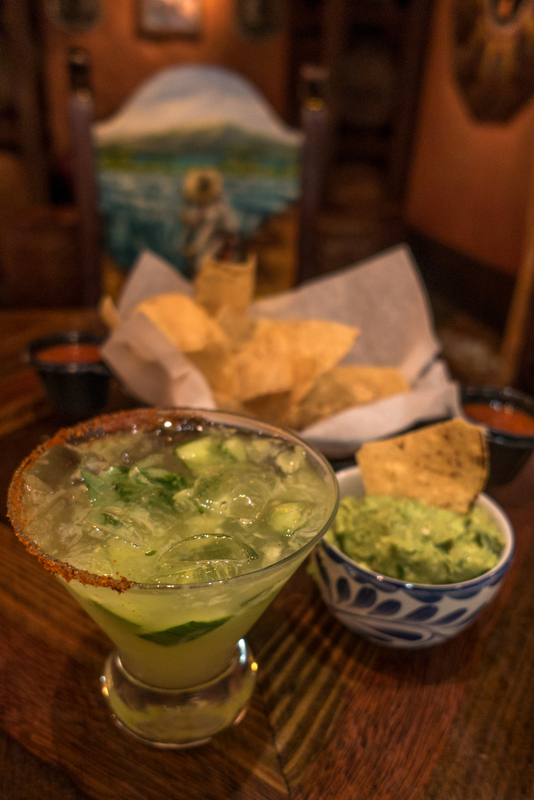 On my last trip I ordered the cucumber margarita which was light, refreshing and strong! The perfect accompaniment to the chips and guacamole. 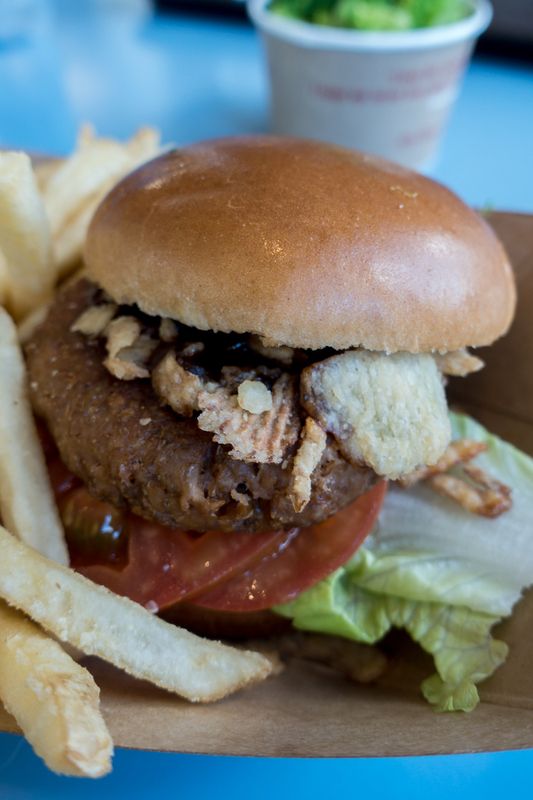 There are lots of other great vegan quick service options at Disney World. Things change all the time at Disney World, so I always like to double check that they offer my favorite vegan foods before heading to the parks. What are some of your favorite quick service foods at Disney World?